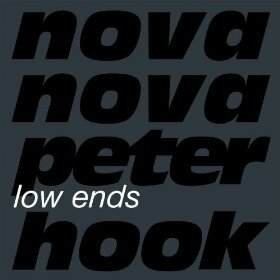 Peter Hook recently collaborated with French house band Nova Nova on a song titled "Low Ends," and four mixes were released last week on the Low Ends ep. The track is fantastic - if you've enjoyed Hooky's signature bass grooves from his New Order days, you'll love this. Check out the official video for "Low Ends" below and grab the ep on iTunes and Amazon. Meanwhile a live album from Peter Hook & the Light will be released digitally on April 22nd through Play Concerts. The album was recorded at Hooky's January 18th show at Manchester Cathedral where he performed New Order's Movement and Power, Corruption and Lies album in full. The album is available to pre-order through Play Concerts. Stream "Your Silent Face" and "Cries & Whispers" from the release below and download the tracks free here and here.